A music and arts festival set up by Moor Music Festival, Iron Wagon and the 580 Collective in 2011. 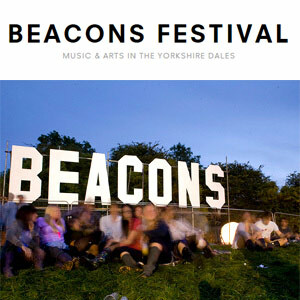 The festival is situated in the heart of the Yorkshire Dales and showcases a dynamic and exciting wealth of music, film, art with great food and drink over a fantastic weekend. The creators of Moor Music Festival (Previously held near Ilkley) have teamed up with the people responsible for bringing some of the world's best music to renowned northern venues like Nation of Shopkeepers and the Brudenell Social Club. 2014 ADULT WEEKEND TICKET £109.45 (£99.50) Transaction fee applicable.